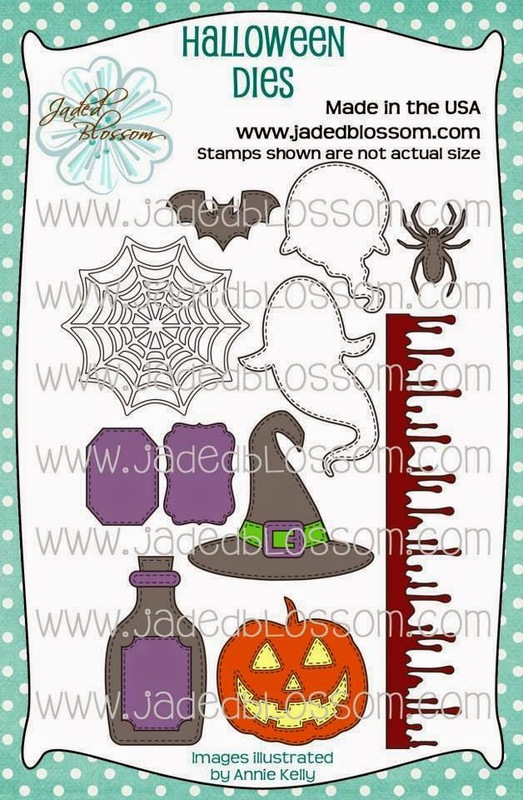 Happy Day 1 of the Jaded Blossom Stamp Release Week!! We have a bunch of fun new stuff to share with you this week. 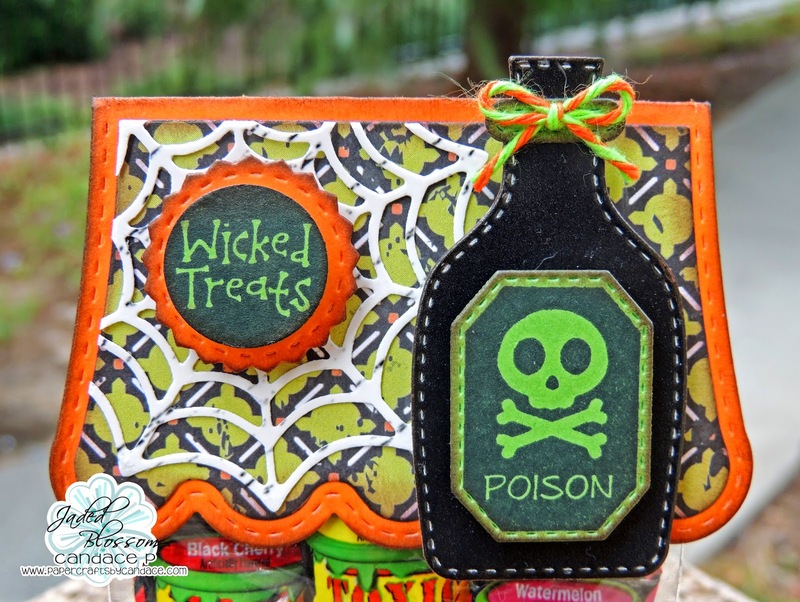 I used the new Halloween Dies for the spider web and the Poison Bottle. 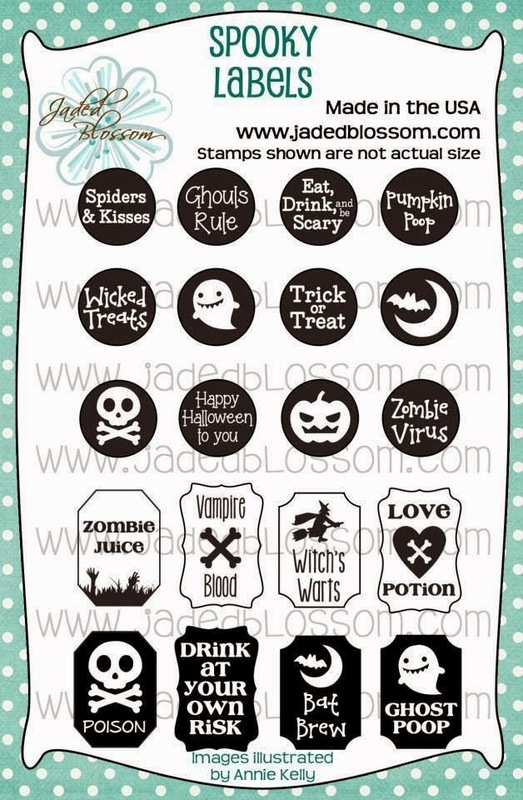 The spooky labels stamp set is the poison and wicked treats. I also used the new Scallop Slider topper die that was revealed yesterday. Love your cute treat bag!! So cute! I love the new candy stamps. Very cool Halloween treat. The potion dies are gorgeous. This is super cool! 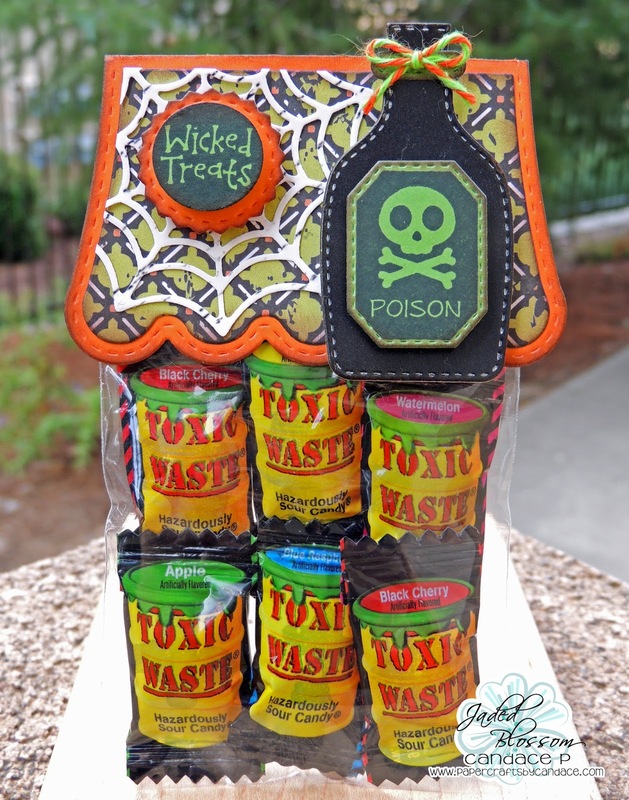 The potion bottle looks awesome and the candy is perfect!